Presidents Trump and Xi are scheduled to meet today at Mar-a Lago, Florida, and given the tense state of US-China relations and the political leanings of the Trump administration there is much at stake for cooperation between the countries on the climate agenda – the most important bilateral relationship in the world. To maintain it, both a high-level paradigm shift of China’s diplomatic approach and a considered assessment of feasible areas of cooperation are needed. In assessing the potential for climate and energy engagement during the Trump-Xi era, it’s worth reflecting on a few lessons from the past. First, there is no real solution to climate change without the US and China travelling in the same direction. Together the world’s two largest emitters have leveraged their size and political significance to mobilise action from other countries. Bilateral cooperation has led to political alignment on several multilateral outcomes in which both countries had a stake. This includes a successful global climate deal in Paris, a new amendment to the Montreal Protocol in Kigali to control HFC emissions, and a new agreement to address aviation emissions through ICAO. Second, it has taken great political efforts and time to achieve the breadth and depth of the current energy and climate relationship. Washington and Beijing have been cooperating on climate change and clean energy for several decades. Since 2009, this cooperation has been greatly enhanced and expanded, resulting in thousands of people from both countries working together to do collaborative research, to share experiences and information, and to develop commercial ventures to deploy clean energy technology. By the end of President Obama’s second term, clean energy cooperation had become the cornerstone of the bilateral relationship, and a key part of the Obama administration’s environmental legacy. As a result, walking away from climate and energy cooperation could be destabilising for the broader US-China relationship. During the eight years of the Obama administration, there was no other issue on which the countries had greater common interest, ranging from their shared concerns about mitigating the economic impacts facing domestic coal communities, to their desire to be global leaders in the development of new energy industries. This alignment of interests helped facilitate dialogue on a broader set of issues, including more contentious economic and security topics. One vehicle for such exchanges, the Strategic and Economic Dialogue, established a new model for engagement that reflected the growing importance of the relationship, providing “more senior, more direct, and more comprehensive communication,” and providing a diplomatic channel for diffusing potential conflict. As we approach the end of the first 100 days of the Trump administration, it is becoming increasingly clear that the president is sceptical of the value of international climate engagement. UNFCCC executive secretary Patricia Espinosa, the UN’s top climate diplomat, was not received by Trump administration officials during her late February visit to Washington. The US State Department now lacks a high-level climate official to engage with international counterparts, including from China. President Trump’s meeting with German Chancellor Merkel reportedly turned sour when she emphasised climate change, which is likely to be a key issue when Germany hosts the G20 summit in Hamburg this summer. Perhaps this is unsurprising. Trump’s March 16 “America First” budget blueprint would eliminate funding for international climate change programmes, including climate change research and partnership programmes, the Global Climate Change Initiative, and payments to the UN climate change programmes. In addition, the March 28 Executive Order “Promoting Energy Independence and Economic Growth” revokes key Obama administration executive orders including the Climate Action Plan and calls upon the EPA to “suspend, revise or rescind” the Clean Power Plan, the cornerstones of the US greenhouse gas reduction pledge under the Paris Agreement. The US political situation certainly makes bilateral engagement much harder. That said, both a high-level paradigm shift of the respective roles that China and the United States play in international climate diplomacy, and a considered assessment of energy technology cooperation priorities, may be needed to maintain the broad and deep partnerships at the heart of the most important bilateral relationship in the world. It is worth examining areas of joint work that may be feasible given the current political climate in Washington. Energy technology cooperation is one potential area. Ronald Regan was president when the first protocol for fossil energy cooperation between the two countries was launched. While the George W. Bush administration took the US out of the Kyoto Protocol, it launched several initiatives focusing on international clean energy cooperation, including the Asia Pacific Partnership on Clean Development and Climate, and the Major Economies Meeting. These partnerships laid a foundation for international clean energy cooperation that was continued under the Obama administration, including the Major Economies Forum, the Clean Energy Ministerial, and most recently Mission Innovation. US-China initiatives like the US-China Clean Energy Research Center (CERC) and the Climate Change Working Group (CCWG) are highly technical and have expanded collaborative research among our universities and national laboratories. These initiatives are bilateral but leverage national goals and priorities. For example in the case of the CERC, costs are split 50-50 between the United States and China, with all US government resources flowing to US-based partners and all Chinese government resources flowing to Chinese-based partners. Ultimately, a high-level paradigm shift will be required to maintain international momentum on climate diplomacy, with China stepping into the leadership role. 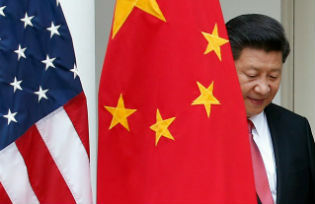 In much of the history of bilateral energy and climate engagement with the United States, China has primarily been reacting to a US-driven agenda, rather than being the primary driver of the agenda. The time has come for China to shift its own diplomatic approach from sitting in the backseat to holding the wheel. China also holds a special stake in keeping the US accountable with its commitments. With its slowing coal consumption and a booming renewable energy industry, China increasingly has the right domestic conditions to take a more active role. China is also hosting two key international clean energy meetings that were originally conceived by the US government. The 8th Clean Energy Ministerial and 2nd Mission Innovation Ministerial will be held in Beijing in early June. These events are a great opportunity for China to demonstrate continued leadership on these issues and for the US to show that it will continue to engage with China and the international community on energy technology cooperation. Joanna Lewis is an associate professor of Science, Technology and International Affairs at Georgetown University’s Edmund A. Walsh School of Foreign Service.